The device technologies service covers smartphones, wearables, mobile broadband, accessories and new device form factors. It provides invaluable research and data synergies spanning these major sectors, including integral ecosystem analyses. Our coverage looks at new technologies and design concepts for all major product lines. This includes the most future-looking features and functionalities as well as key innovation across both hardware and software technologies. Special focus is given to technology innovation including application processing, next generation connectivity (including 5G), and sensor platforms. All coverage provides granular assessments of the most transformative technologies from the RF systems and modems to processing platforms to next generation functionalities, such as AI implementations, AR and VR use cases, imaging and display technologies, etc. The research also extends to strategic analyses of the key stakeholders and their market shares operating across this device ecosystem, plus a focus on relevant consumer and enterprise applications. The aim of this study is to provide market sizing and forecasts for key human-machine interfaces, presenting actual and expected trends for various advanced, device-enabling technologies to predict how product innovation may evolve for both smartphones and tablets between 2015 and 2027. This includes a detailed analysis of key product entries, market opportunities/threats, as well as strategic recommendations to drive growth and profitability for device manufacturers. Major transformative technologies include iris scanning, fingerprint on display, 5G, AI, rear dual camera, 8K display, wireless charging, foldable/flexible display, USB type-C, >IP60, NFC, and e-SIM. What's New in Apple's Upgrade Products? 5G smartphones were amply on display at MWC 2019, but vendors need to make a concerted effort to showcase how 5G will actually enhance the user experience. Turning 5G from theory into practice and developing business models to drive market value are challenges to address. Premium Range Smartphone OEM Strategies, Flexible Displays and 5G: A Triumvirate to Staunch the Declining Market? How Does Sony’s New Camera Sensor Fit into the Smartphone Camera Market? What is Apple's Smartphone Technology Component Strategy? What’s Next for Display Technology in Smartphones? Has the Race to Launch the First 5G Smartphone Begun? eSIM Handsets – MNO Friend or Foe? 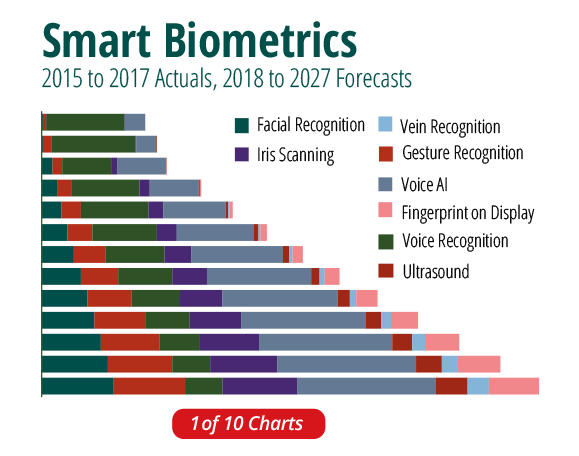 The eSIM remains a hot topic and one which original equipment manufacturers (OEMs), mobile network operators (MNOs), smart card and secure IC vendors continue to explore, prepare and strategize. Today, the handset market has begun to move, driven by Google’s recently launched Pixel 2 handsets with eSIM inclusion, raising expectations that other OEMs will follow suit. In addition, the rise of the eSIM has raised fears that it may be used as a platform for OEMs to directly compete with its current MNO customer base, using the eSIM as a platform from which to launch MVNO services. Are New Intel Core Processors Enough to Motivate 450 Million PC Installed Base to Upgrade? Nokia Rises from the Ashes of its "Burning Platform"
Online vs. Offline: Which has the Better Longevity in China? Will Apple’s “Let Us Loop You In” Event Unveil A Great, New Experience? Was 2015 the Year of the Smartwatch, or Just Apple Watch? Is Huawei Going to Surpass Xiaomi in the Chinese Market? The Apple Watch: Flop or Not? Creating Competition in the Mobile OS Market: Could Cyanogen Be the Third Leg of the Tripod? Could Drivers Control Their Cockpits Using Eye Movements? The mobile phone industry is on the cusp of an important phase of development as enhanced technologies and innovative user interfaces and experiences seek to breathe new life into the market. In this ‘post-smartphone’ era, the market is braced to provide more immersive touch-less experiences, with many new interfaces developing through artificial intelligence and gesture control. ABI Research has categorized 10 major mobile industry ecosystem companies and value creators based on comparative evaluation and benchmarking of 4 main areas, including patent trends, R&D and acquisitions. This assessment provides an insight into who is best placed to take full advantage of this future paradigm and gain a better understand of which companies are set to lead this next wave of technological transformation. Why is the smartphone market set to go through a transformational change, and what will this change look like? Which companies are set to lead and drive this next wave of technological transformation in the smartphone market? Who is best placed to take full advantage of this future paradigm and why? What are the comparative strengths and weaknesses of 10 of the world’s top value creators? What else can be done to affect this change and what will the future competitive landscape in the smartphone market look like?